Youngwoo Kim, Post-doctoral Researcher, KAIST, Terabyte Interconnection and Package Lab. Youngwoo Kim is Post-doctoral researcher in Korea Advanced Institute of Science and Technology (KAIST). 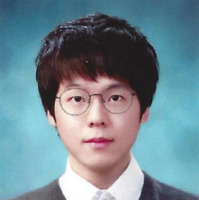 He received Ph.D. and Master's degree in KAIST and B.S from Korea University both in electrical engineering. His major research topic is focused on SI/PI co-simulation and eye-diagram estimation considering power integrity. For the current projects, he is designing AP package with Korean mobile company and designing PCBs for defense organization. Also he performs research related to high-speed and RF electrical design in 2.5D interposer and 3D-IC.